Three-dimensional (3D) immersive virtual worlds have been touted as being capable of facilitating highly interactive, engaging, multimodal learning experiences. Much of the evidence gathered to support these claims has been anecdotal but the potential that these environments hold to solve traditional problems in online and technology-mediated education—primarily learner isolation and student disengagement—has resulted in considerable investments in virtual world platforms like Second Life, OpenSimulator, and Open Wonderland by both professors and institutions. 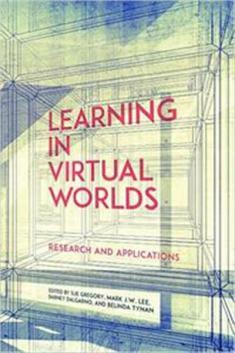 To justify this ongoing and sustained investment, institutions and proponents of simulated learning environments must assemble a robust body of evidence that illustrates the most effective use of this powerful learning tool.In this authoritative collection, a team of international experts outline the emerging trends and developments in the use of 3D virtual worlds for teaching and learning. They explore aspec ts of learner interaction with virtual worlds, such as user wayfinding in Second Life, communication modes and perceived presence, and accessibility issues for elderly or disabled learners. They also examine advanced technologies that hold potential for the enhancement of learner immersion and discuss best practices in the design and implementation of virtual world-based learning interventions and tasks. By evaluating and documenting different methods, approaches, and strategies, the contributors to Learning in Virtual Worlds offer important information and insight to both scholars and practitioners in the field.